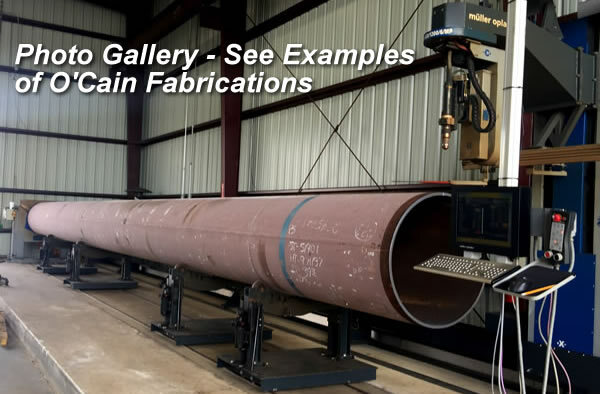 Case Study - O'Cain, Inc.
O'Cain is an industrial fabrication company that provides services including pipe and structural steel fabrication, CNC plate rolling, sandblasting, painting and transportation of finished components. 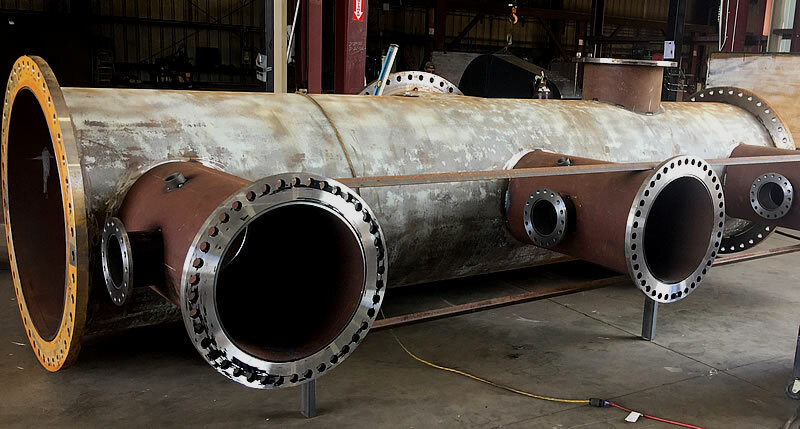 O'Cain processes a high volume of pipe and also does custom steel fabrications. 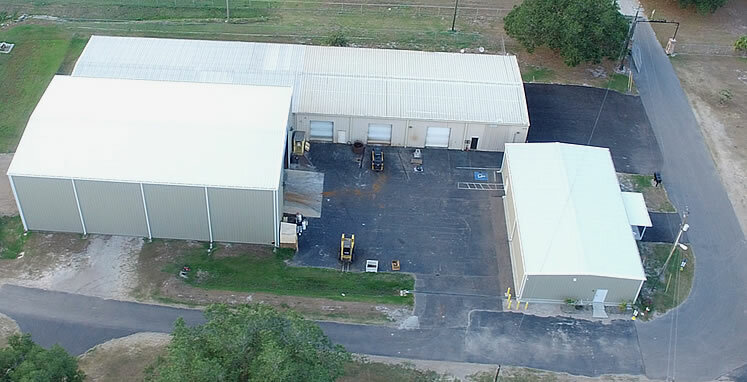 O'Cain is located in central Florida and has been providing fabrication services since 1962 for companies up and down the East Coast and around the world. David O'Cain has more than 24 years of fabrication. He picked up a welding unit in his dad's business when he was 10 years old. He always had a love for fabrication and started cutting pipe for jobs when he was 15 years old during the summer. 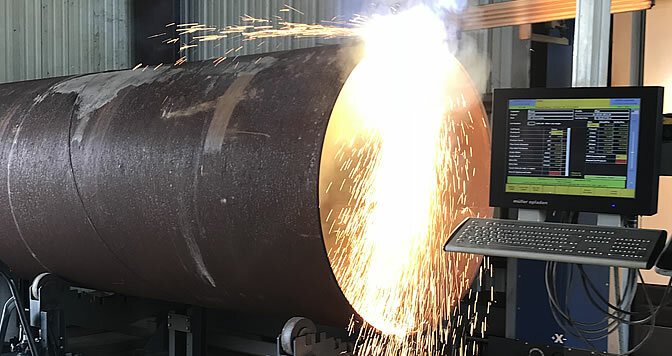 O'Cain processed pipe for several companies, but as the business grew it became clear that they needed increased capacity and the ability to process longer and larger pipe. "I wanted a 6 axis machine for larger, more complex jobs," said David O'Cain. 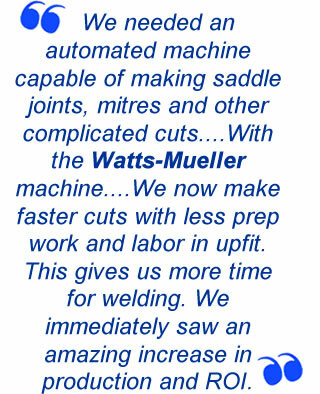 "We needed an automated machine capable of making saddle joints, mitres and other complicated cuts. I looked at machines from two other companies, then a few months later I traveled to Texas to meet with a Watts-Mueller rep and look at one of their machines. We ordered a Watts-Mueller machine with a 60 ft bed. We now make faster cuts with less prep work and labor in upfit. This gives us more time for welding. 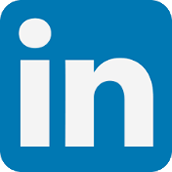 We immediately saw an amazing increase in production and ROI." 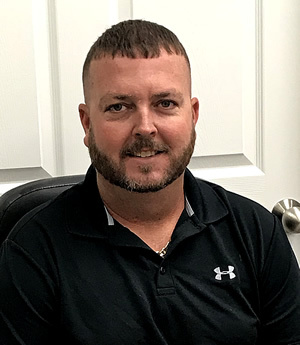 David attended Polk State College to study Engineering and returned to fabrication after a few years to join the family business. David helped to take O'Cain into automated fabrication. "We have a project for a mining company to deliver 57,000 feet of 20" pipe," said David O'Cain. 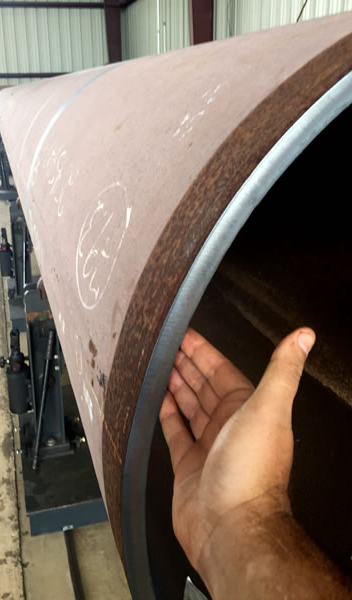 "The pipe comes in random lengths that must be cut, beveled and welded into 100 ft sections. 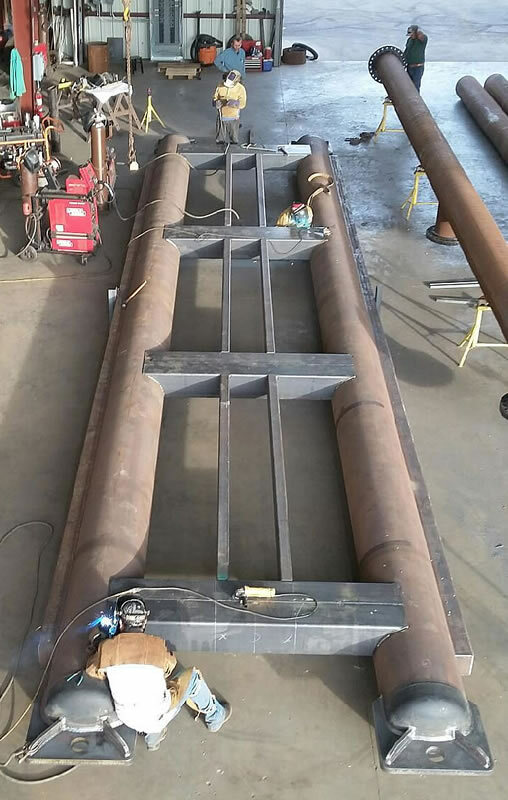 Flanges will be welded on both ends." "The incoming pipe has been numbered and marked for exact lengths. I put the full pipe inventory into a spreadsheet and imported it into the Watts-Mueller pipe cutting software to have nested cuts configured. The software reported a total of 1,710 cuts, showing pipe numbers with nested cuts into specified lengths." "The Watts-Mueller machine will cut and bevel each joint in under a minute," O'Cain continued. "No grinding will be needed. This machine cuts a beautiful bevel, ready to weld. Having a CNC machine that can cut and bevel so quickly, with such clean cuts, saves us 30-35% in manhour labor compared to the older machine we used for several years." "We ship pipe to this mining company every few days. This machine gives us a competitive edge - our customers know we can get the job done quickly, accurately and at a very competitive price."